Regeneron is expanding their campus by 1,000,000 square feet. The campus abuts the South County Trailway, meaning employees could easily and safely bike to work. But as of yet, the plans don't include a direct connection to the trail. In addition, Old Saw Mill River Rd there is a barrier to east-west bicycle travel. 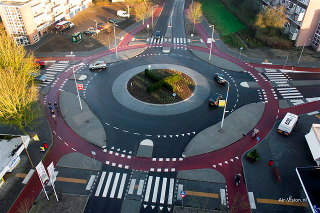 The road has no shoulders and is configured in a way that encourages people to drive fast. We have been talking with officials in Greenburgh, and plan to sit down with Regeneron, about how to solve these shortcomings by integrating shared use paths in their property. The State Department of Transportation is rebuilding the Route 100C bridge over Route 9A. Initial plans lacked complete accommodations for people walking and biking. We've been pushing the DOT to do better. The DOT responded and we requested further refinements.